Our inspirational winter mountaineering courses, from beginner to advanced levels, take place in Scotland. Our ethos is simple: to offer the best courses and guiding through tailored courses delivered by the UK's highest qualified instructors. This two day course is ideal place to start if you haven’t been mountaineering in winter before. We'll teach you the skills you need as we enjoy journeys through awesome mountain scenery. We cover all the essential skills including avalanche safety, the use of crampons and ice axes, basic winter navigation and more, so you will have the knowledge and skills to enjoy the winter mountains safely. 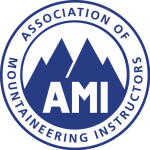 This course is ideal place to start if you haven’t been mountaineering in winter before. We'll teach you the skills you need whilst at the same time enjoying some amazing mountain journeys. We'll cover all the essential skills including avalanche safety, the use of crampons and ice axes, basic winter navigation and more, so you will have the knowledge and skills to enjoy the winter mountains safely. The difference between this course and the 'Introduction to Winter Mountaineering' course is the extra time with one of our highly experienced instructors who will look in depth at your mountaineering skills and give you the opportunity to apply them in a wide range of situations. If you want to be guided on some awe-inspiring routes while having a good time mountaineering, then this course will suit you. Our winter mountaineering guides are highly experienced so whether you want to do ‘classic’ routes or would like to challenge yourself at a chosen grade, we will plan your trip to suit. From the perfect introduction for beginners to challenging routes on the big faces in Scotland, we can do it.